The Rug Retailer have a wide selection of doormats and entrance way runners for you to choose from. 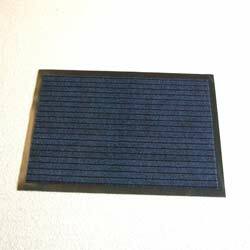 Doormats help to protect your home from dirt and loose debris, our collection includes the ultra green and Eco friendly 'hug range doormats' as well as standard barrier mats and runners. As well as protecting your property from unwanted dirt, doormats can say a lot more about your property than you would think. After all, we all know how important first impressions can be so why not choose one that suits the style of your property, add a bit of humour or just update that ageing doormat. For doormats online or doormats UK, please browse our selection below.